To protect your own interests please read these terms & conditions carefully. If you are uncertain as to your rights under them or you want any explanation about them please write, telephone or email us prior to placing your the order. 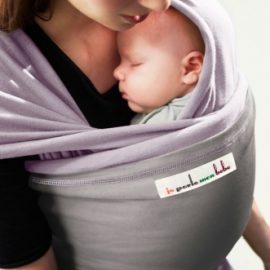 Anyone purchasing a wrap or sling from slinglibrary.com CIC will be considered to have taken full responsibility for the safe and considered use of the product, and that all necessary steps have been taken to ensure that the wrap or sling is used in a manner which ensures the safety of any child carried in said wrap or sling. Please ensure that you have read the Sling Safety section on this site before using any of our products. As part of our agreement to provide you with a product, we require you to be fully aware of the content of the Sling Safety section. By placing an Order and purchasing goods from slinglibrary.com CIC you enter into a legally binding agreement with us on the following Conditions. You should read and understand these Conditions because they affect your rights and liabilities. These are the Standard Terms and Conditions of Sale of slinglibrary.com CIC, 7 Victoria Street, Deighton, Huddersfield, West Yorkshire. HD2 1JB (“the Seller”, “We” or “Us”) for certain products as set out in the pages on this site (“the Goods”). Subject to the provisions of Clause 4.2 below, the price of the Goods the delivery charges and Value Added Tax where applicable is set out on the Order Form. 2.2 No Order submitted by you shall be deemed to be accepted by us unless and until confirmed by e-mail or in writing by us. We reserve the right to reject any order after any confirmation email has been received by you. or have the Goods (or the part in question) replaced free of charge, if available. 8.8 It is your responsibility to use our products with discretion. We do not accept liability for the misuse of our products. We accept no liability for deterioration of the products due to incorrect storage conditions. You should ensure that the products are stored according to label instructions and are kept in hygienic conditions to minimise the risk of deterioration of the product resulting from external factors. 9.3 Goods must be returned complete, unused and undamaged with all accessories and instructions, and be suitable for resale. The original packing must be returned in its original condition. 11.1 All copyright, trade marks and all other intellectual property rights in this Website and its content (including without limitation the Website design, text, graphics and all software and source codes connected with the Website) are owned by or licensed to slinglibrary.com. 11.2 In accessing the Website you agree that you will access the content solely for your own personal, non-commercial use. None of the content may be downloaded, copied, reproduced, transmitted, stored, sold or distributed in any way whatsoever without the prior written consent of the copyright holder. 12.5 We will try and solve any disagreements quickly and efficiently. If you are not happy with the way we deal with any disagreement and you want to take court proceedings you must do so within Great Britain. This website and its content is copyright of slinglibrary.com – © 2016. All rights reserved.